New Delhi (Sputnik) — India is trying to make the low cost and simple design of Tejas its unique selling proposition to cost-conscious countries in Asia. 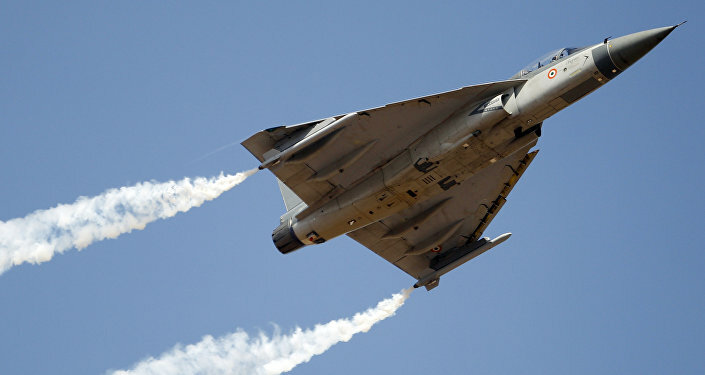 “Indian government proposes to export the LCA Tejas to other countries and in this connection preliminary discussions have been held with a few friendly countries,” says Manohar Parrikar, Indian Defense Minister. The Indian Ministry of Defense claims to have received a positive response from a few Asian nations. They have found it attractive due to its low cost and simple design. But it is not known if re-export permissions are required from overseas suppliers of components. Its engines are American, radar, helmet display and laser pod of Israeli make and Russia has supplied the canons and missiles. 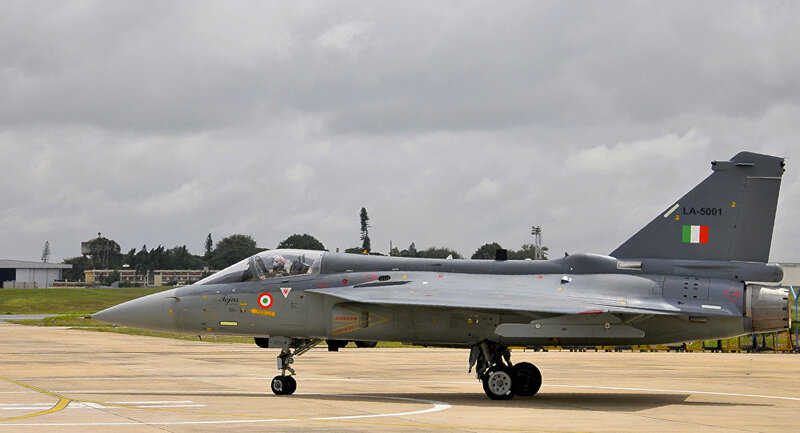 India had symbolically formed the first squadron of Tejas in July this year with two initial operational configuration (IOC) aircraft. The remaining 18 jets in the same configuration will be inducted over the next two years. This will be followed by the induction of 20 Tejas in the Final Operation Configuration (FOC). The indigenous content is 59.7 per cent by value and attempts are on to localize the production of some more imported components. The state-owned Hindustan Aeronautics Limited can currently assemble eight Tejas per annum. It has plans to double the output to 16 Aircraft per annum.